Now, you are on a page with results of the National Health Lottery. Here you can easily trace back any historical result. All current results are displayed within a few minutes after officially announced by the company. 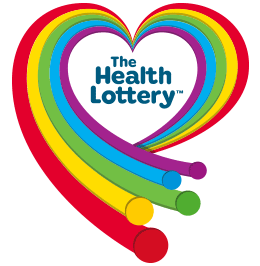 Use our special tool called the Health Lottery checker to check all results of the lottery. The draws occur on five nights per week; namely, Tuesdays, Wednesdays, Thursdays, Fridays, and Saturdays. The health lottery results are instantly published on the official website www.healthlottery.co.uk/results just after the draws has taken place. The incoming visitors can search for the numbers they are possessing and can also look for particular draw dates. health lotto results are also printed in Express, the Daily Star, Mirror and Sun newspapers. One may choose to visit the retailer too for knowing the latest health lottery results, or can also access the official Facebook page or Twitter feed of The Health Lottery. Apart from that, a person can dial 0844-375 55 55 (chargeable) also. For those who played the game online and won not more than two thousand British Pounds, they are not required to do anything else. The winning sum will be directly credited to their online lottery account and can be cashed at any given time. Typically it takes fourteen business days for the money to be credited to the winner’s bank account. If anybody has won more than two thousand Pounds, then that person is advised to dial the Health Lottery helpline number mentioned before. The customer care team will make necessary arrangements for collecting the prize money. For retail participants, the lottery ticket is required to raise a claim. Retailers can disburse any amount up to fifty Pounds for every valid claim. If someone has won any amount more than fifty Pounds but equals to or less than two hundred and fifty Pounds, then the reward money can be withdrawn from any participating post office. For any amount greater than two hundred and fifty Pounds, it is suggested to get in touch with the Health Lottery customer care. The health lottery is not legally defined as a national lottery in the UK. In order to circumvent the Gambling Act; it functions as a representative of all the fifty-one local society lotteries in England, Wales, and Wales. More information, actual jackpot and all rules about the Health Lottery you can find here.